Kingdom of Sparta is a nation led by King Nicholas the wise on the continent of Europe. Kingdom of Sparta's government is a Absolute Monarchy with very authoritarian social policies. Economically, Kingdom of Sparta favors moderate policies. The official currency of Kingdom of Sparta is the Gold Standard. At 28 days old, Kingdom of Sparta is a young nation. Kingdom of Sparta has a population of 872,305 and a land area of 10,750.00 sq. miles. This gives it a national average population density of 81.14. Pollution in the nation is almost non-existent. The citizens' faith in the government is sufficient with an approval rating of 56.4007%. Everyone shall kneel in front of the mighty Kingdom of Sparta. 04/19 02:23 pm - Kingdom of Sparta had war declared by Refordia Republic for the reason of "just". 04/19 01:51 pm - Kingdom of Sparta had war declared by Costa Dema for the reason of "PM for peace negotiations". 04/19 07:57 am - Kingdom of Sparta had war declared by ISI land for the reason of "You brought this on yourself". 04/19 05:28 am - Kingdom of Sparta left the alliance Guardian. 04/18 06:33 pm - Kingdom of Sparta declared war on Aeternis for the reason of "A not-so-general dispute". 04/18 06:25 pm - Kingdom of Sparta declared war on Ragibs for the reason of "Luke... I am your father.". 04/18 06:18 pm - Kingdom of Sparta declared war on Diaz Republic for the reason of "All your base are belong to us". 04/18 06:14 pm - Kingdom of Sparta declared war on RoastLand for the reason of "I am the LAW!". 04/18 06:10 pm - Kingdom of Sparta declared war on Sovietland for the reason of "I couldn't come up with anything better than the default". 04/16 01:31 pm - Kingdom of Sparta declared war on Joseph for the reason of "We have come to liberate you". 04/16 01:25 pm - Kingdom of Sparta declared war on State of New Jersey for the reason of "I will have vengeance.". 04/16 01:03 pm - Kingdom of Sparta declared war on Kingdom Of Caledonia for the reason of "We like taking candy from babies". 04/16 12:59 pm - Kingdom of Sparta declared war on Empire of jainistan for the reason of "Gib me all ur moneyz". 04/16 12:53 pm - Kingdom of Sparta declared war on belgium westhoek for the reason of "You're a disease, and I'm the cure.". 04/15 09:55 pm - Kingdom of Sparta had war declared by Plortine for the reason of "Steal from the rich and give to the poor!". 04/13 02:33 pm - Kingdom of Sparta had war declared by Hispaynua for the reason of "Nah mate...THIS IS SPARTA". 04/12 12:06 pm - founded a new city, Corinth. 04/11 04:48 pm - Kingdom of Sparta declared war on Sheethole for the reason of "This, is, SPARTA!". 04/11 04:43 pm - Kingdom of Sparta declared war on Vendanovia for the reason of "Arrgh!". 04/11 04:39 pm - Kingdom of Sparta declared war on Aragoniaian Empire for the reason of "I will have vengeance.". 04/11 04:36 pm - Kingdom of Sparta declared war on Tyfon for the reason of "Me too, thanks". 04/11 04:30 pm - Kingdom of Sparta declared war on Steiner land for the reason of "Say hello to my little friend!". 04/09 10:15 am - Kingdom of Sparta declared war on Valyria for the reason of "Gib me all ur moneyz". 04/09 10:12 am - Kingdom of Sparta declared war on United Soviets of Korexico for the reason of "This, is, SPARTA!". 04/09 10:09 am - Kingdom of Sparta declared war on Fennoscandian Empire for the reason of "Hasta la vista, baby!". 04/09 10:07 am - Kingdom of Sparta declared war on Republic of jeffeos for the reason of "We like taking candy from babies". 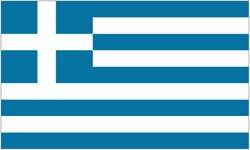 04/09 10:04 am - Kingdom of Sparta declared war on Democratic Union of Orbis for the reason of "I am the LAW!". 04/08 12:12 pm - founded a new city, Patra. 04/06 07:58 pm - Kingdom of Sparta declared war on The Imperias Empire for the reason of "Me too, thanks". 04/06 07:56 pm - Kingdom of Sparta declared war on Dalmation for the reason of "This, is, SPARTA! ".